According to the Auto Trader, the 2017 Mazda5 is one of the more enjoyable models to drive. 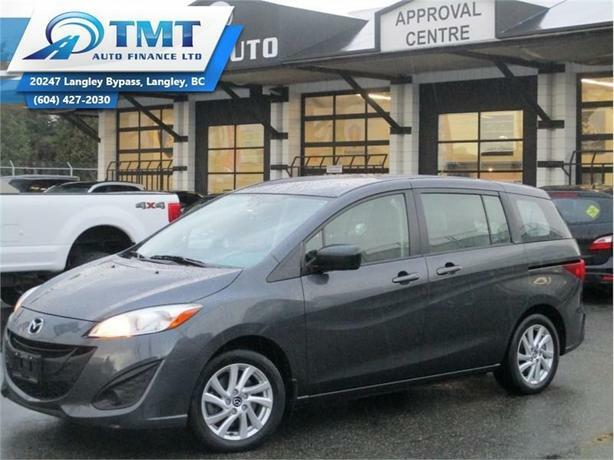 This 2017 Mazda Mazda5 is for sale today in Langley. A spacious cabin makes the 2017 Mazda5 a practical choice for modern families. Comfort and convenience amenities ensure the cabin is just as perfect. In addition, modern safety equipment gives drivers an added peace of mind for their journeys.This coupe has 42498 kms. It's grey in colour. It has an automatic transmission and is powered by a 157HP 2.5L 4 Cylinder Engine. This vehicle has been upgraded with the following features: Air Conditioning, Remote Keyless Entry, Power Seats, Power Windows, Power Doors. It has some remaining factory warranty for added peace of mind.